Our 321-acre working farm is a beautiful retreat for both long and short term spelling of horses as well as retirement. Located 20km north-east of Margaret River, the property is wooded and watered with plenty of shade and shelter appropriate for all seasons. 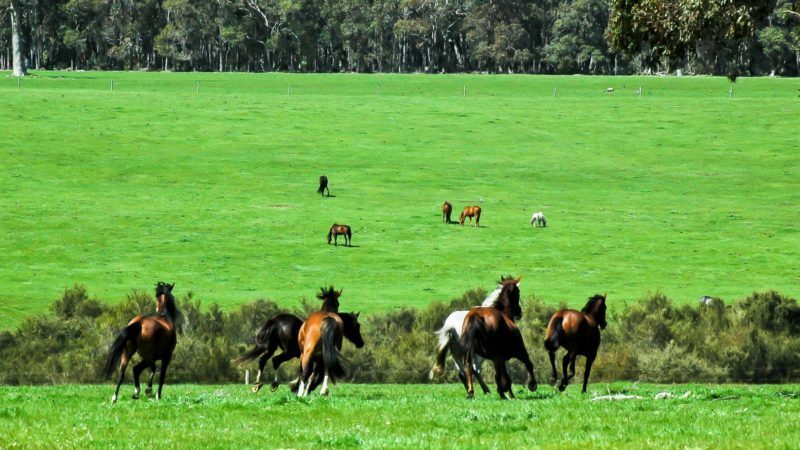 Wherever possible, horses run in compatible free-range herds/mobs on well-maintained pastures. All agistment stock is monitored daily and when needed seasonal mineral supplements are provided. For more information on agistment, please don’t hesitate to contact us.